The University of Indianapolis announced today the appointment of Dr. Debra A. Feakes as Dean of the Shaheen College of Arts and Sciences. Her appointment follows an extensive national search. Feakes, a tenured full professor, is the associate chair of the Department of Chemistry and Biochemistry at Texas State University (San Marcos) and interim associate director of the LBJ Institute for STEM Education and Research. She begins her role July 1, 2018. In her role as Dean, Dr. Feakes will oversee nearly 150 faculty from undergraduate and graduate programs in 16 departments, as well as the R.B. Annis School of Engineering. She has authored and co-authored numerous publications in peer-reviewed journals and received more than $3 million in grants/funding for several research projects and protocols including from the National Science Foundation. Dr. Feakes has served on regional and national boards for professional organizations in her field and presented at numerous scientific conferences. The Shaheen College of Arts and Sciences encompasses bachelor’s and master’s degree programs in disciplines including Anthropology, Art & Design, Biology, Chemistry, Communication, English, Engineering, History & Political Science, Mathematics, Global Languages, Multidisciplinary Programs, Music, Philosophy & Religion, Physics & Earth-Space Science, Sociology, Criminal Justice, and Theatre. Nearly half of University of Indianapolis undergraduates will choose majors in those departments, which also provide important core courses and a liberal arts foundation — and enriching electives to students majoring in professional fields such as Health Sciences, Education and Business. 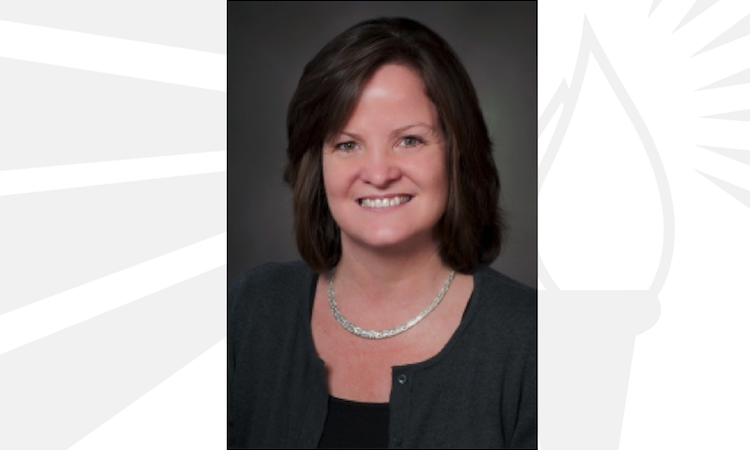 Dr. Feakes completed her undergraduate degree in Mineral Engineering Chemistry at the Colorado School of Mines (1986) and a Doctor of Philosophy in Chemistry from Utah State University (1991). Before entering the academic ranks, she served as a postdoctoral research associate at the University of California at Los Angeles. She is a recipient of numerous honors and awards for her commitment to undergraduate teaching and was named a 2016 Piper Professor and a 2017 Regents Teacher; and was named the 2015-2016 Presidential Fellow at Texas State University (San Marcos). “I am thrilled to be given the opportunity to serve as the Dean of the Shaheen College of Arts and Sciences and look forward to joining the dedicated faculty and staff as we provide core knowledge to our students and advance the mission and goals of the university,” said Feakes.